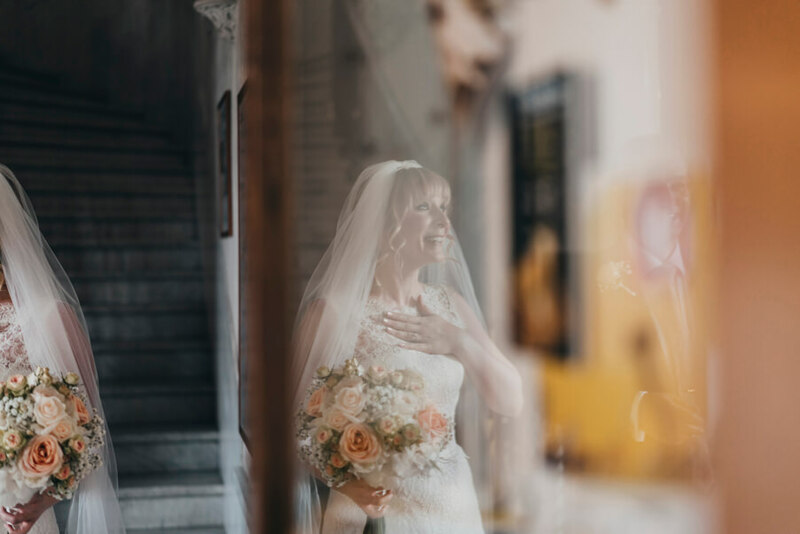 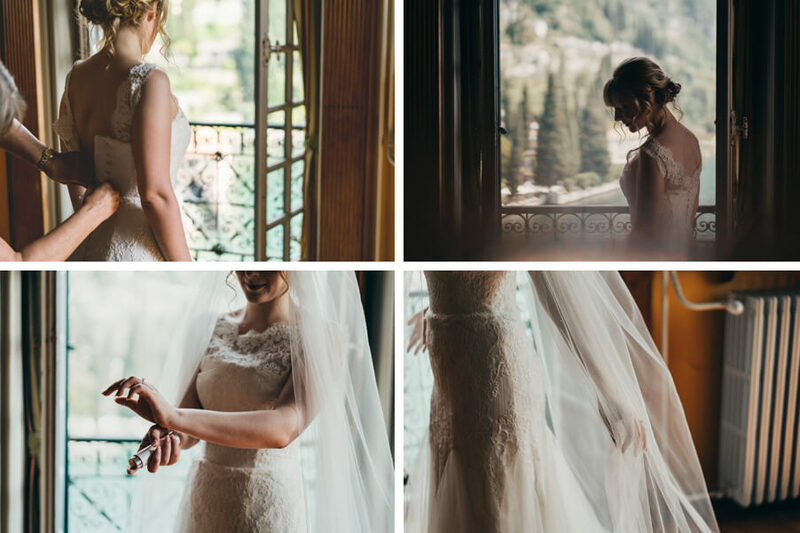 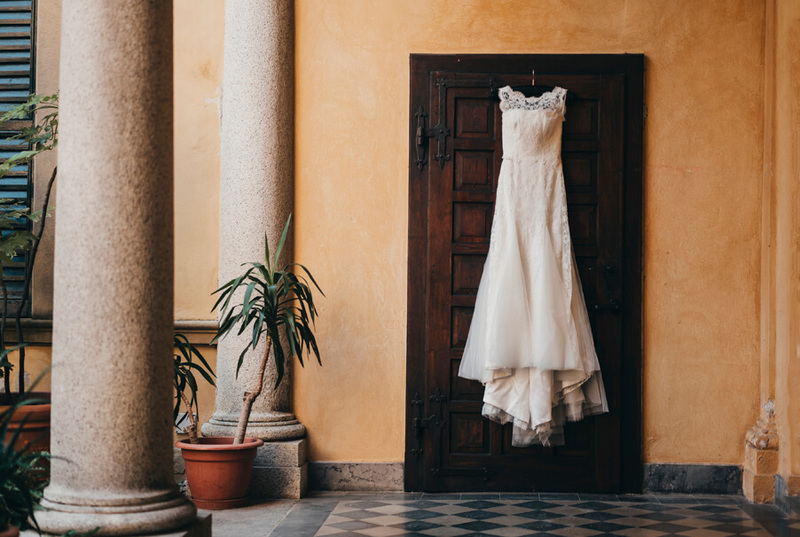 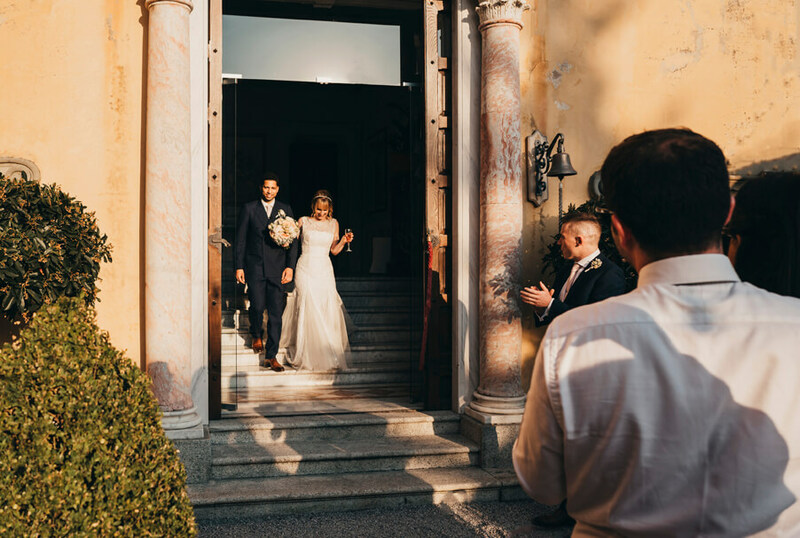 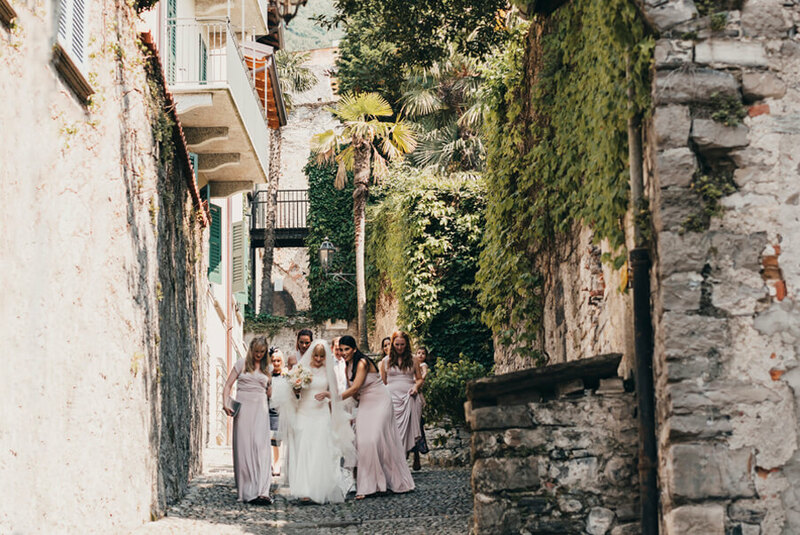 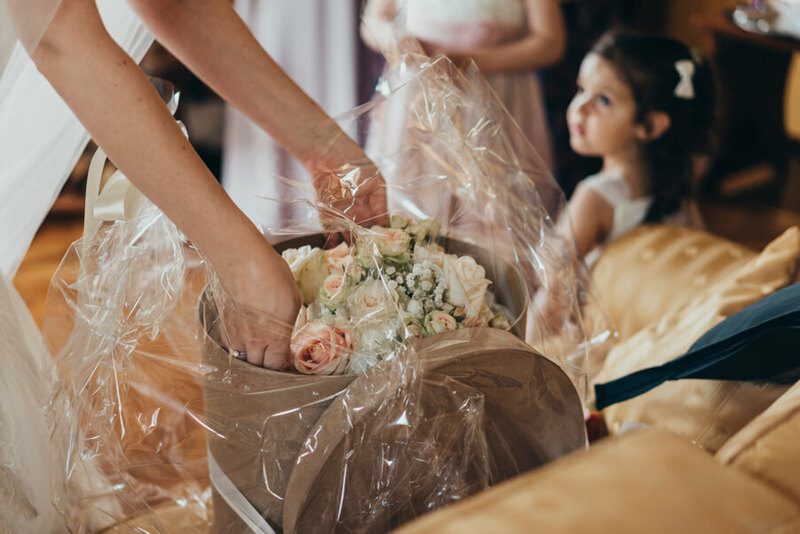 Lucia got ready at Villa Cipressi in the villas large bridal suite, before cruising with her father, mother and bridesmaids over to Villa Carlotta for the ceremony in a traditional Venetian limousine. 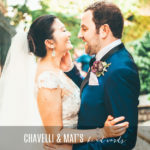 Ceremony details included a string duo, beautiful ceremony chair bouquets and two large flower arrangements either side of the alter. 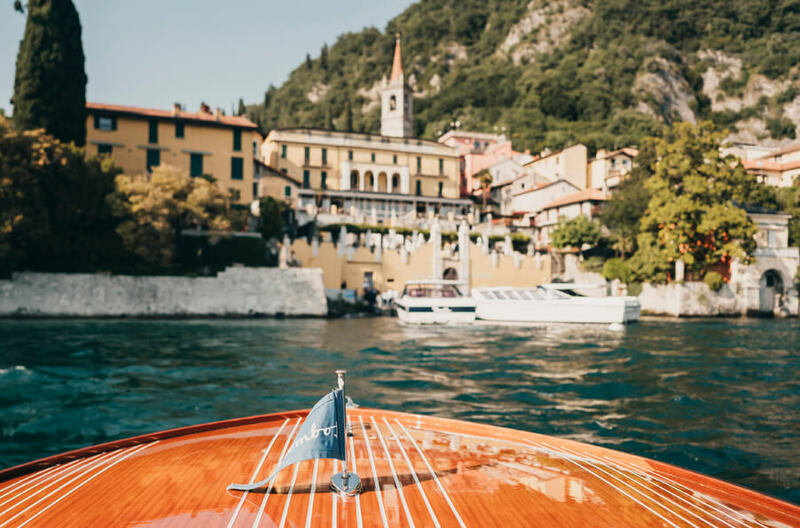 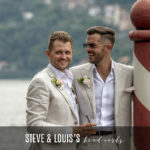 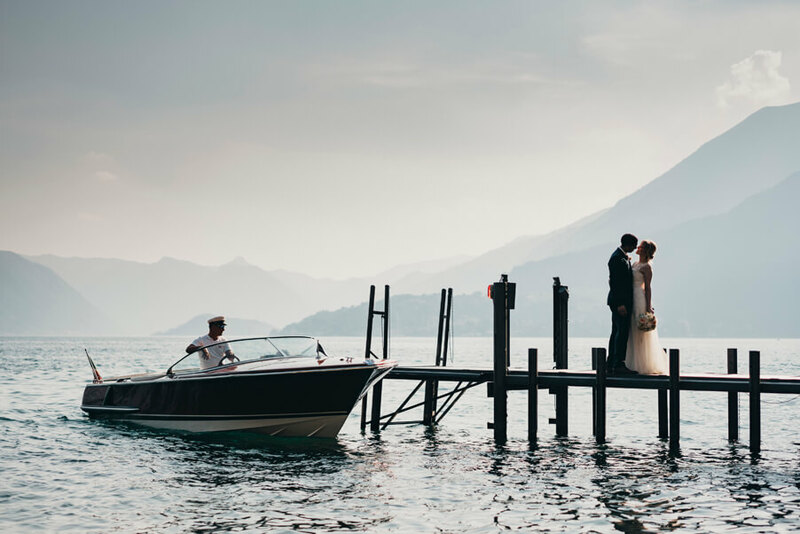 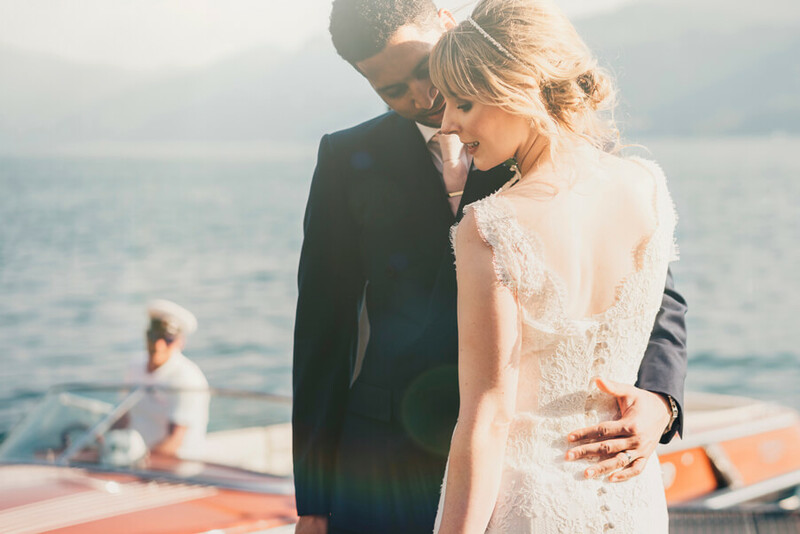 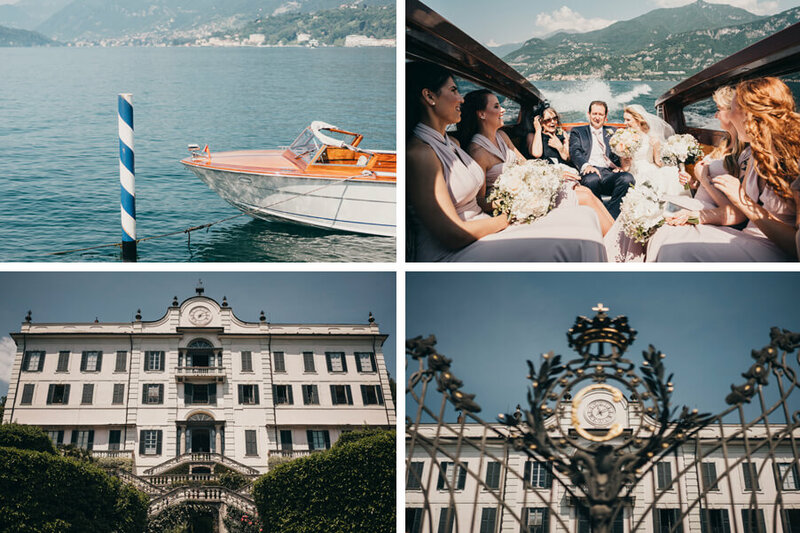 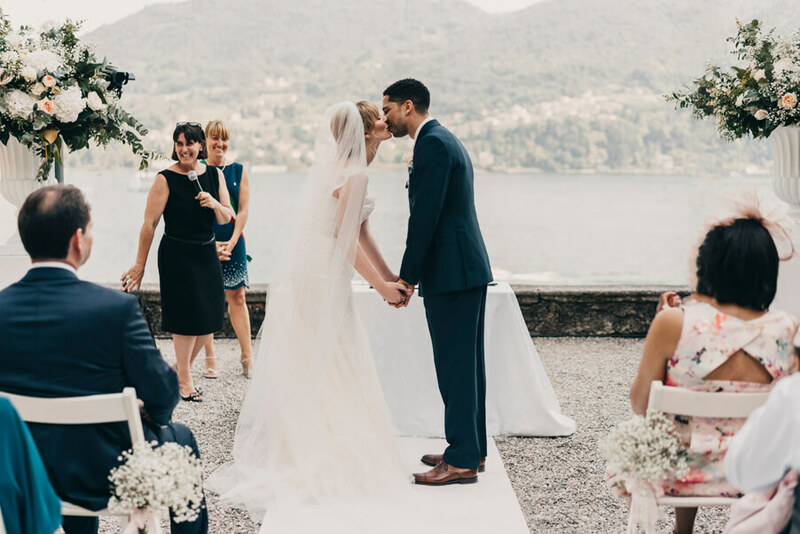 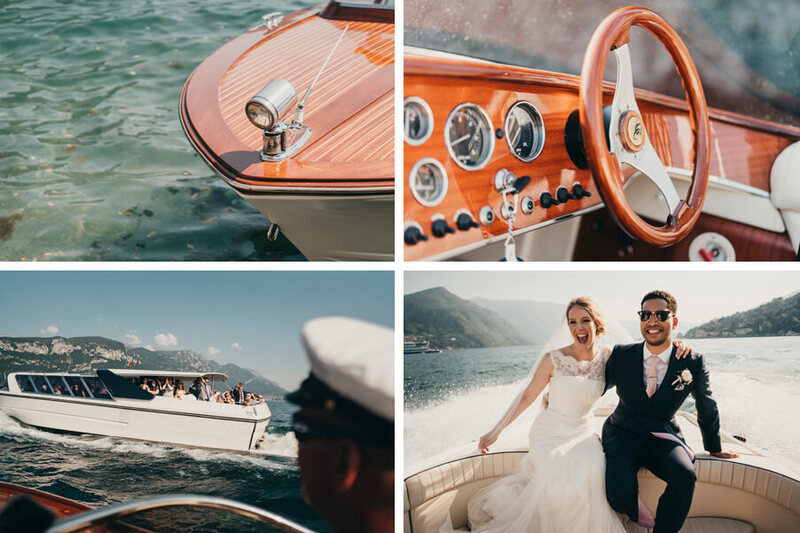 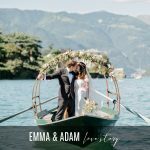 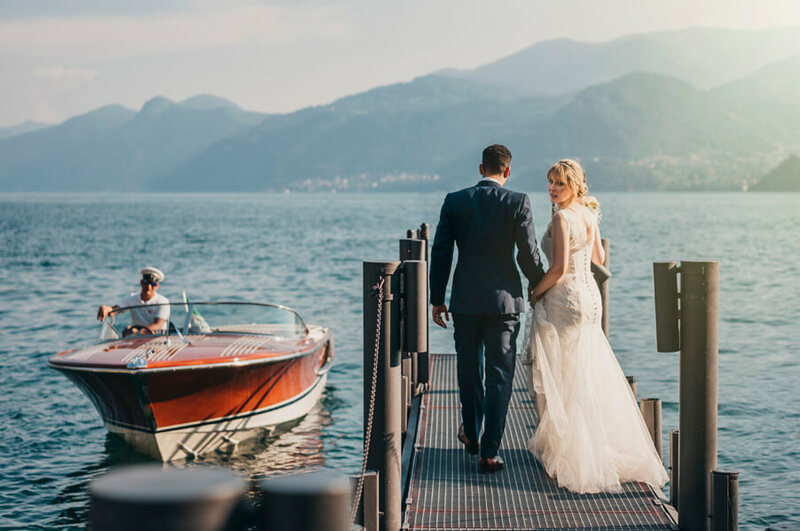 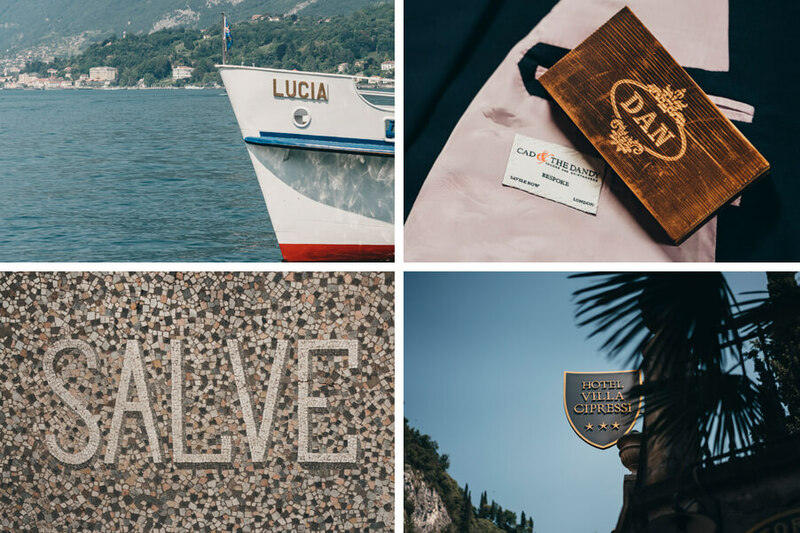 Boats then transported their guests back across the lake to Villa Cipressi, whilst the bride and groom enjoyed time alone with their photographer on a separate speed boat before catching them up. 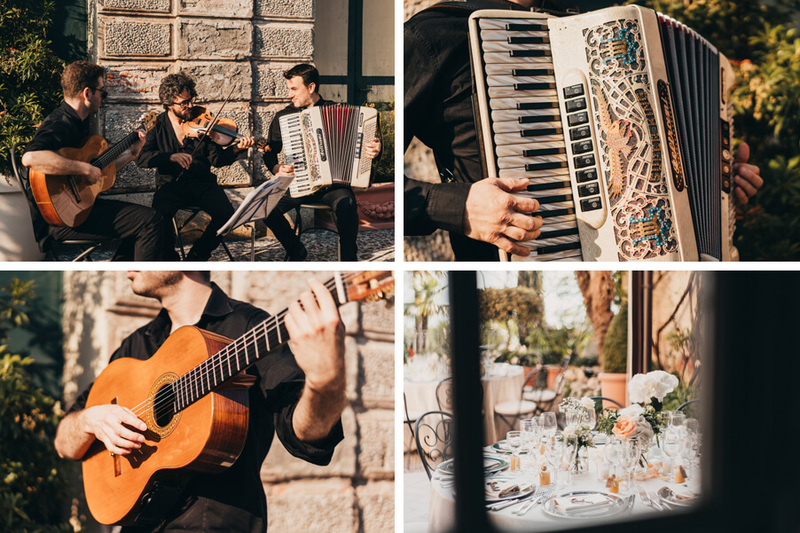 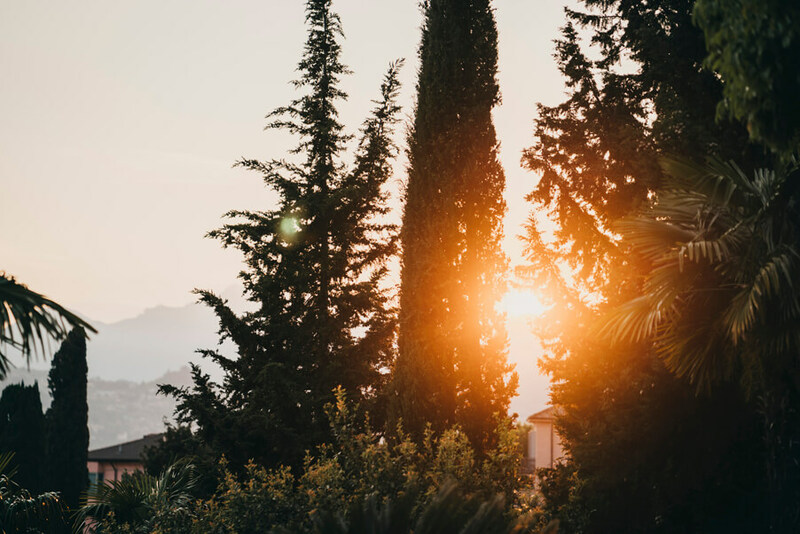 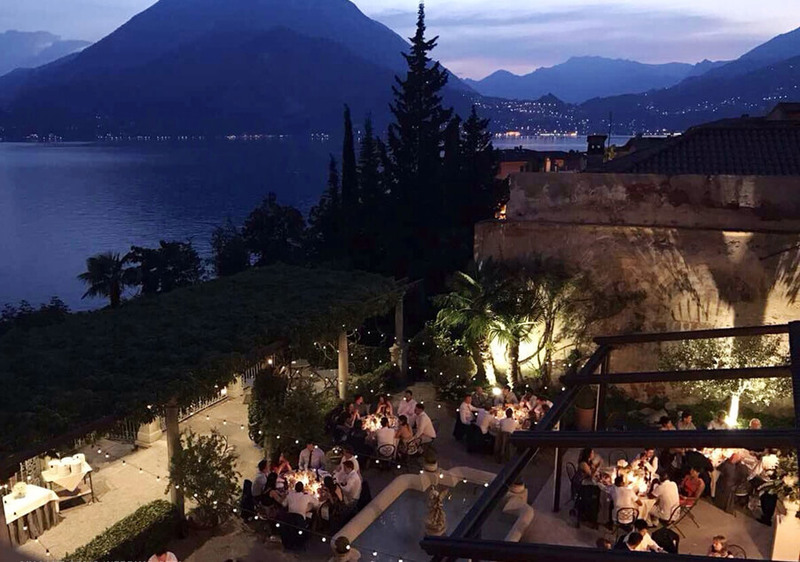 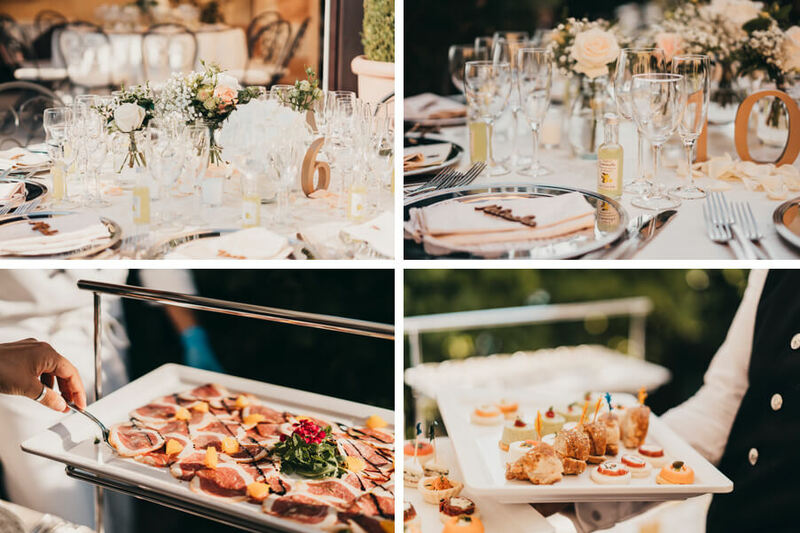 A delicious Italian aperitivo awaited everyones arrival, served on the terrace over looking the lake and accompanied by an Italian folk band. 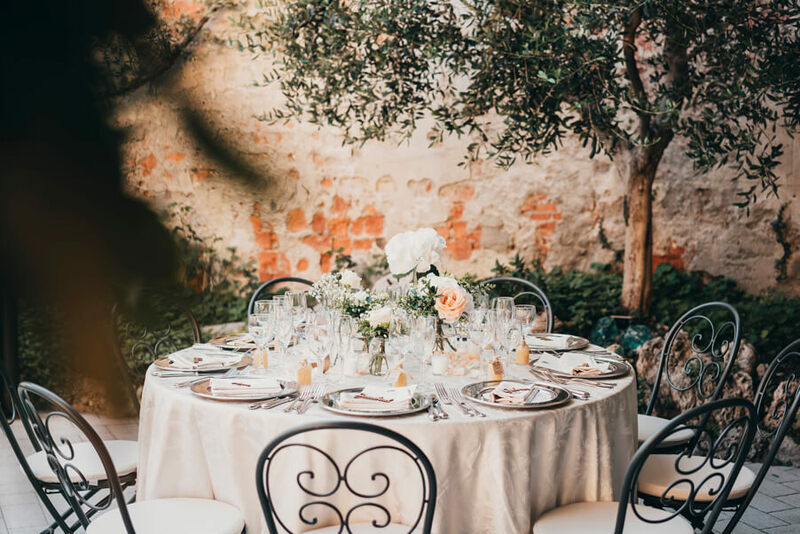 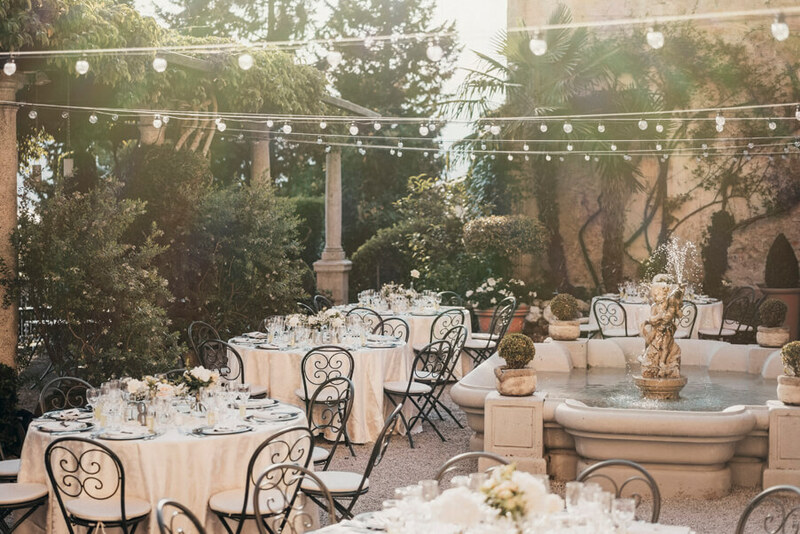 Dinner was served outside in the villas intimate walled courtyard under a canopy of romantic festival lighting. 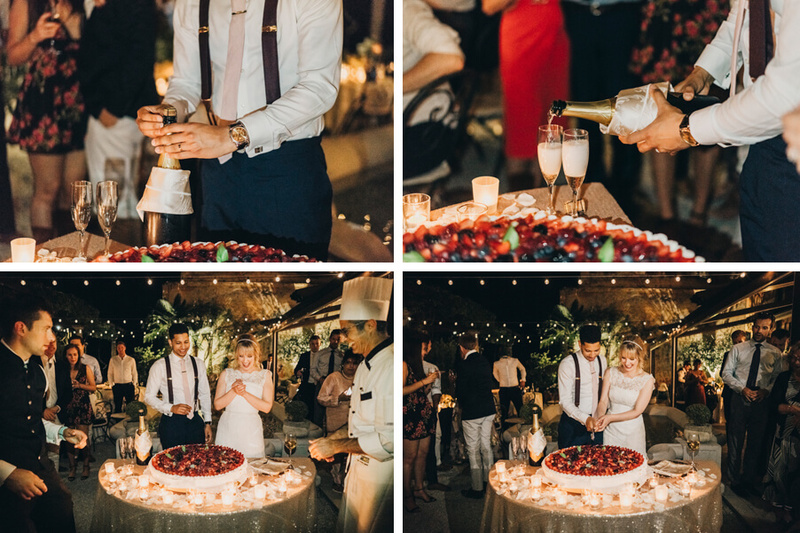 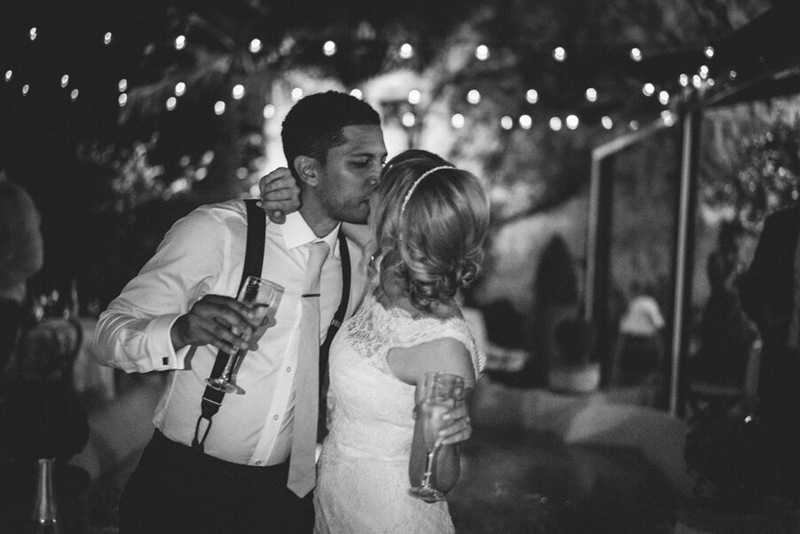 Cutting of the wedding cake took place on the terrace under the stars before everyone entered the villa for the couples first dance and live DJ set. 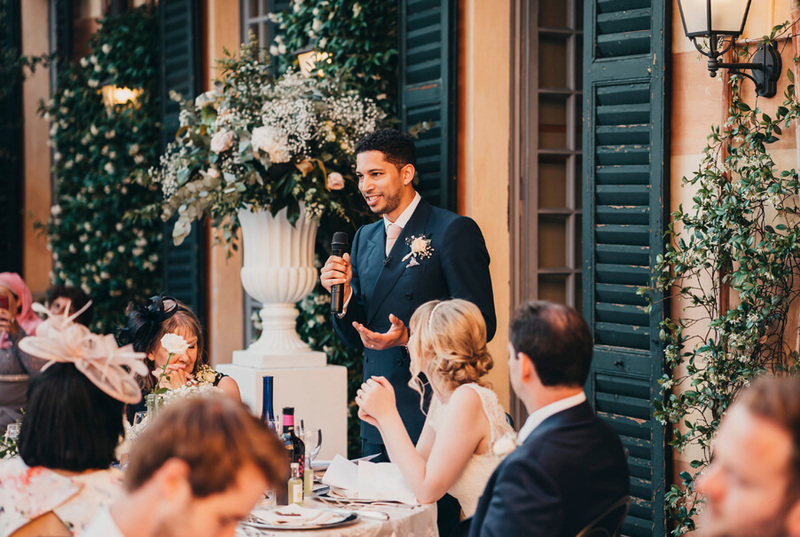 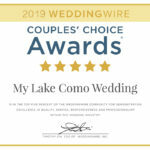 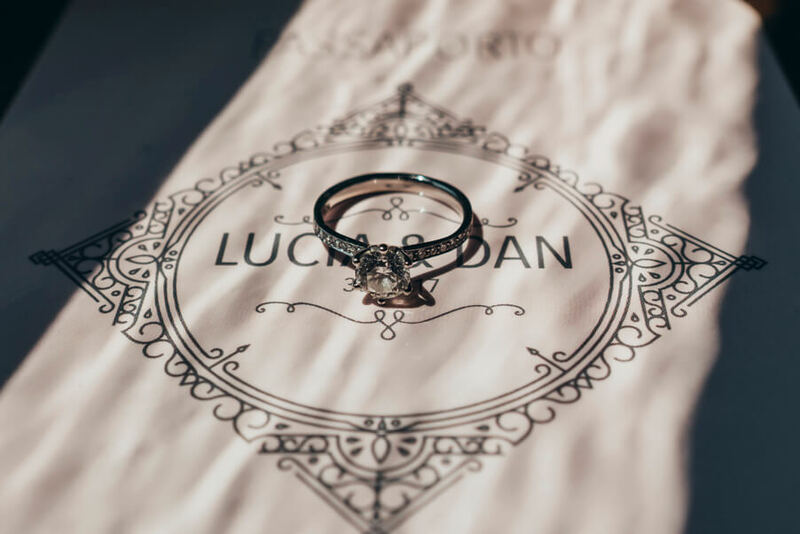 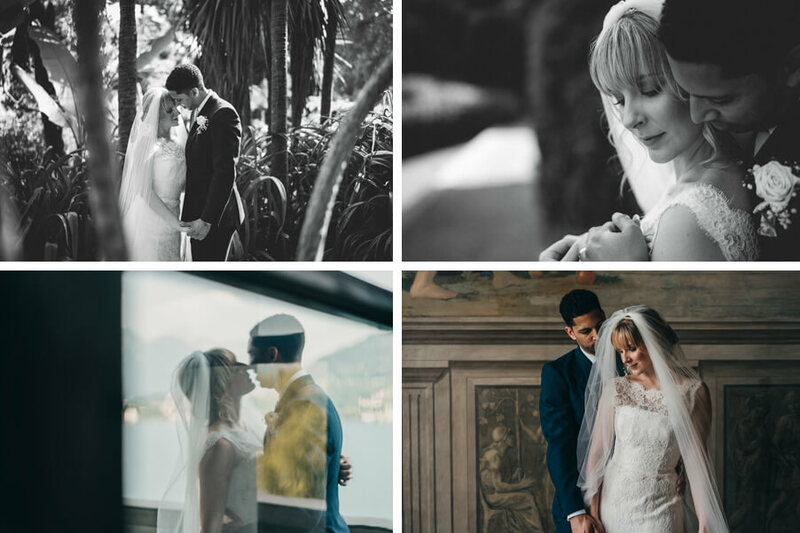 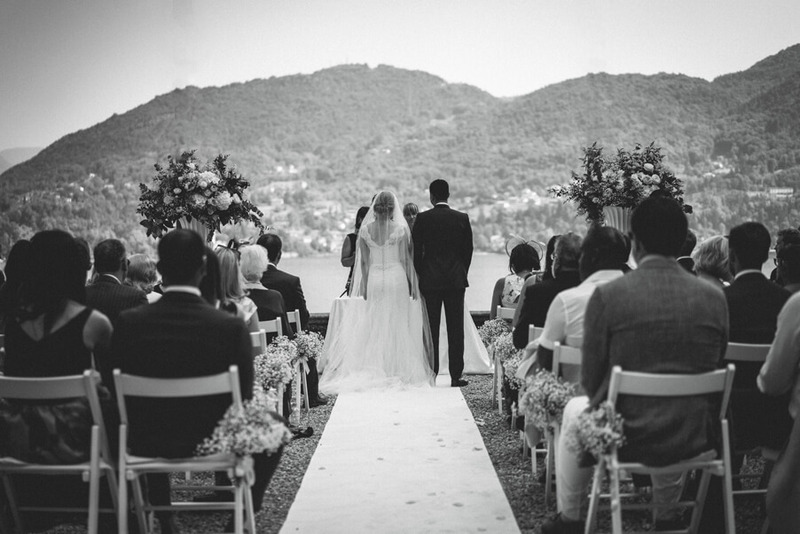 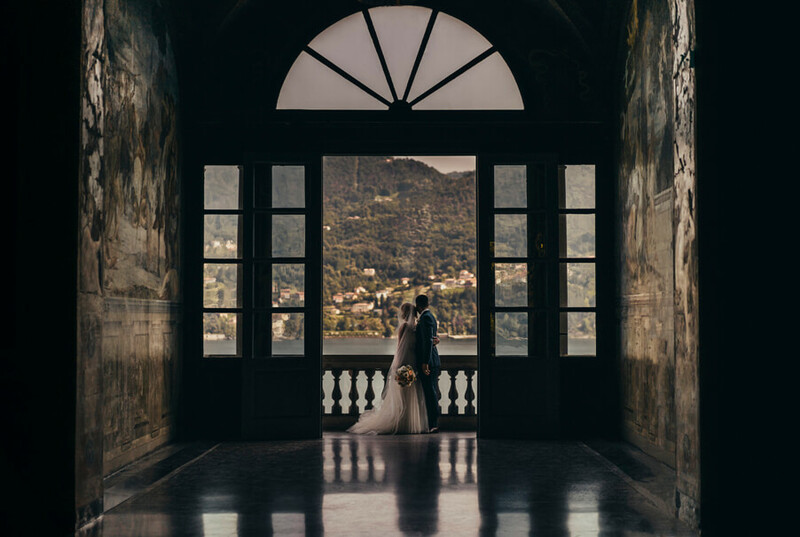 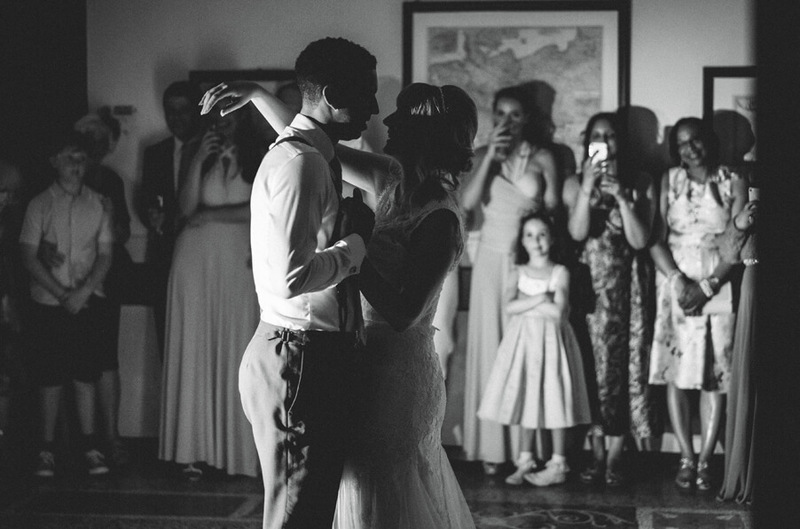 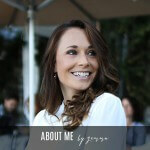 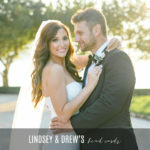 I would like to personally thank Lucia and Dan for letting myself and my team be a part of their Lake Como wedding. 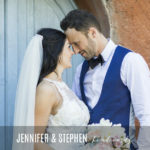 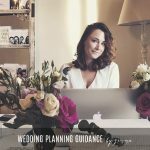 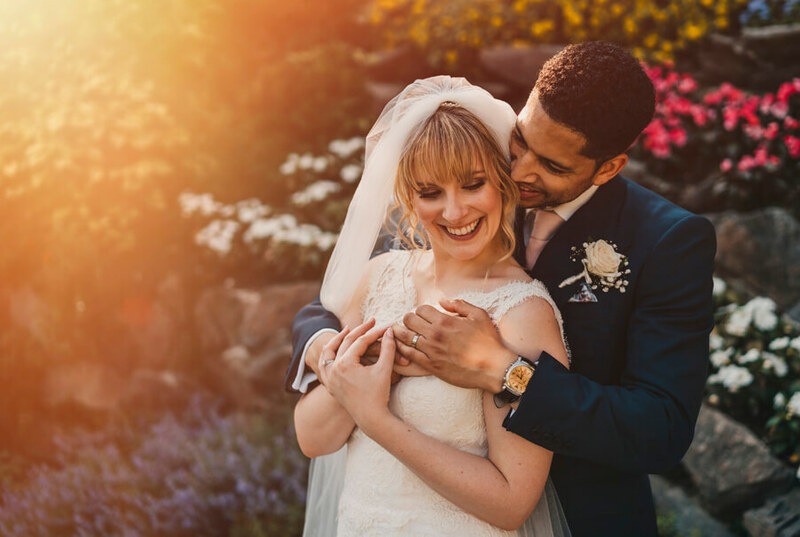 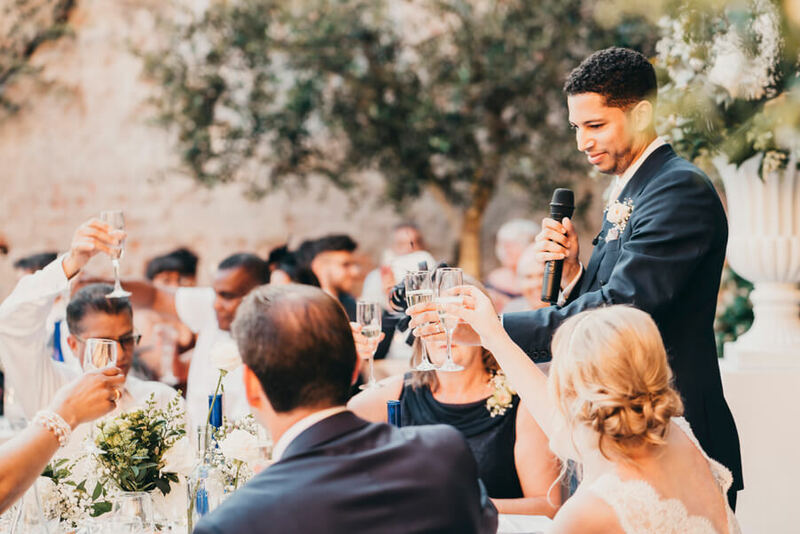 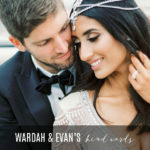 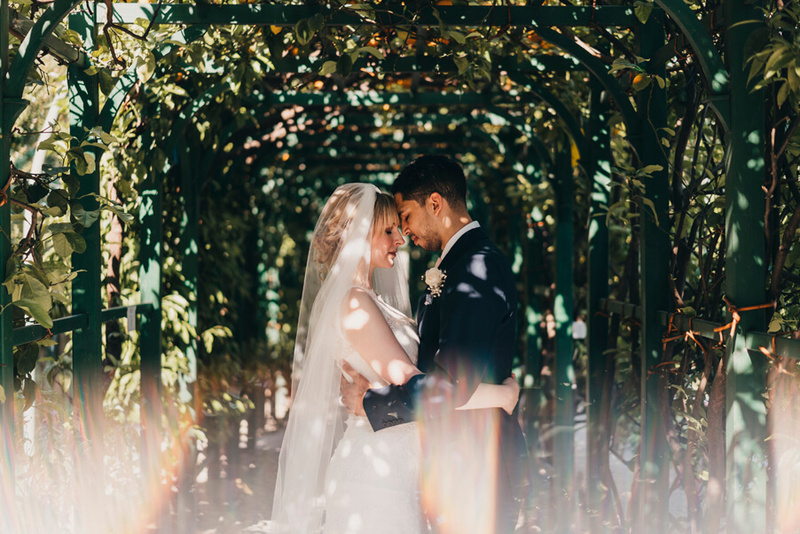 It was a wonderful wedding planning journey which led to the most special and unforgettable wedding day filled with emotion and excitement. 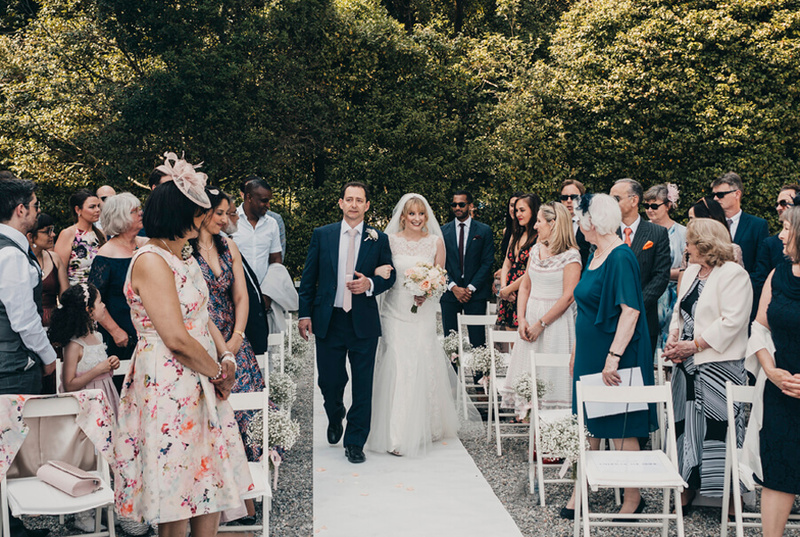 I would personally also like to take this opportunity to thank and credit everyone who was involved in making this day so very special for Lucia and Dan.